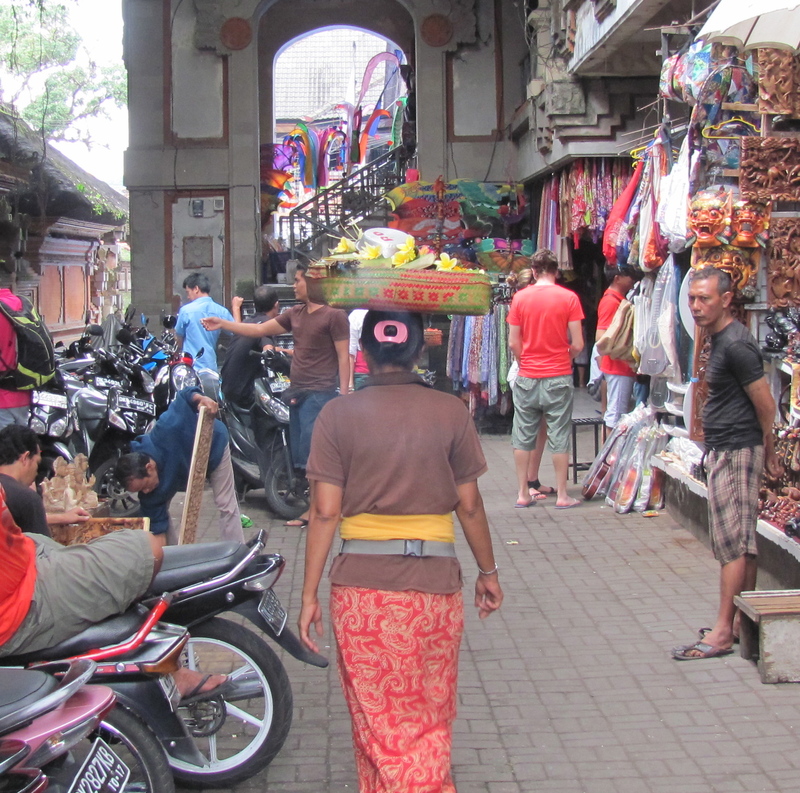 Ubud is located in central Bali. 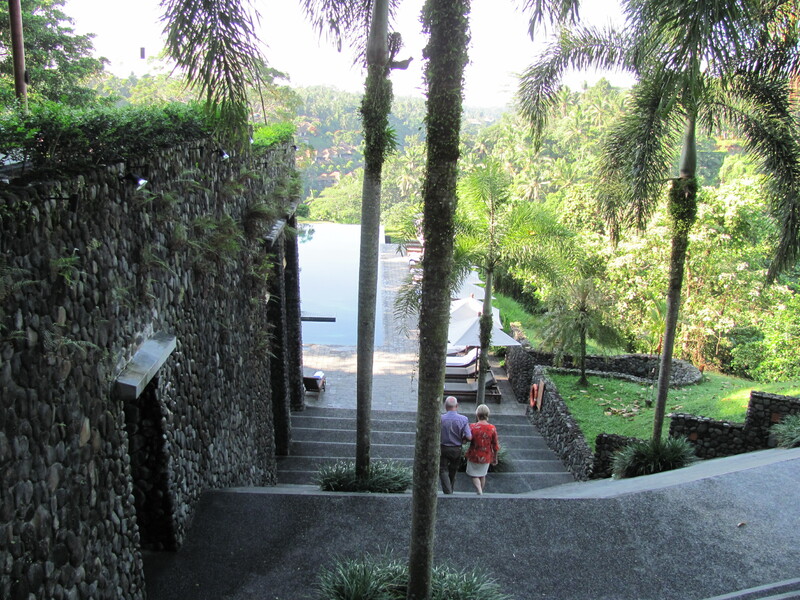 It took about an hour and a half to drive from the airport my hotel, Alila Resort and Spa. 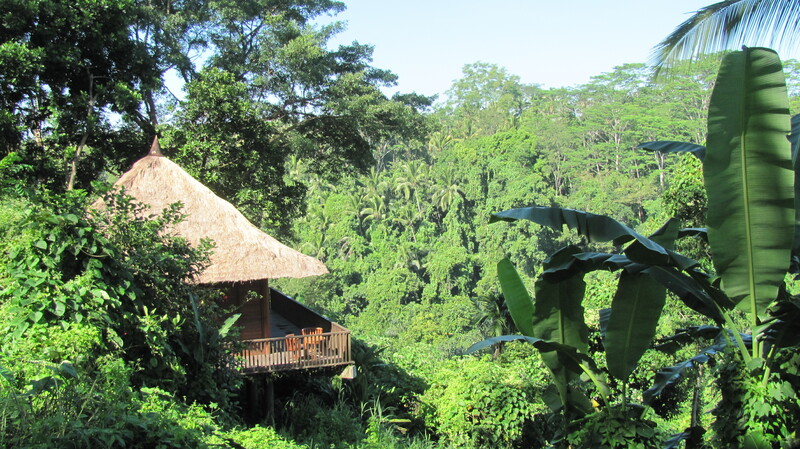 In planning the trip, I thought about renting a car for the Ubud portion of my stay. Car rentals are extremely cheap and easily accessible. But I decided to hire a driver to be on the safe side. [Side note: A few months ago, I made a simple 3 hour drive from Orlando to Delray Beach in Florida somehow take almost 5 hours. I get distracted easily.] I was really happy with my decision, as the first 5 minutes of the drive seemed pretty consistent throughout the entire hour and a half journey. I will say driving in Bali would be easy. Throughout my trip I was continually impressed with how courteous and safe the drivers were. Pedestrian’s safety is clearly on the top of their list, which is worlds apart from the run for your life approach, we have here in Hong Kong. Along the drive out, there were a lot of reclaimed architectural savage yards, mixed with countless garden statue and huge antiqued glazed urn businesses. All of which, would have been way too tempting to have stopped at if I had a car. The drive out wasn’t as scenic as I had thought, but as soon as we turned into the lane leading to the resort, things quickly changed. Like, immediately. The lane, about a mile or so long, was filled with twists and turns passing through my first up close view of the amazing Balinese rice terraces. To add to the beauty, the rain that had started about 30 minutes prior, commenced making every shade of green even more beautiful. I have to admit, the more time I spend living in Hong Kong, the more I like spending time at my parents. They live in the middle of no where, and I kind of like it. I’m still a city guy at heart, but being on ground that has never been touched by man, in any way, is pretty special to me. 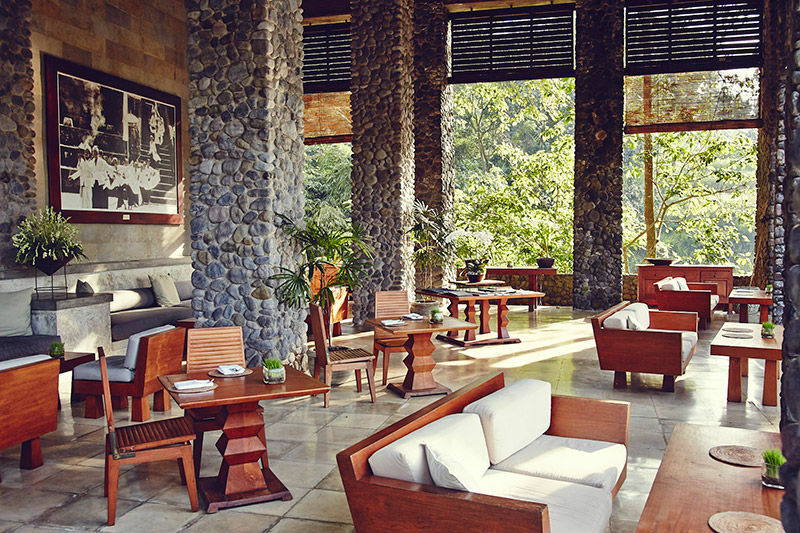 Alila Resort and Spa offered this special touch in a big way. It was far removed from any other property. 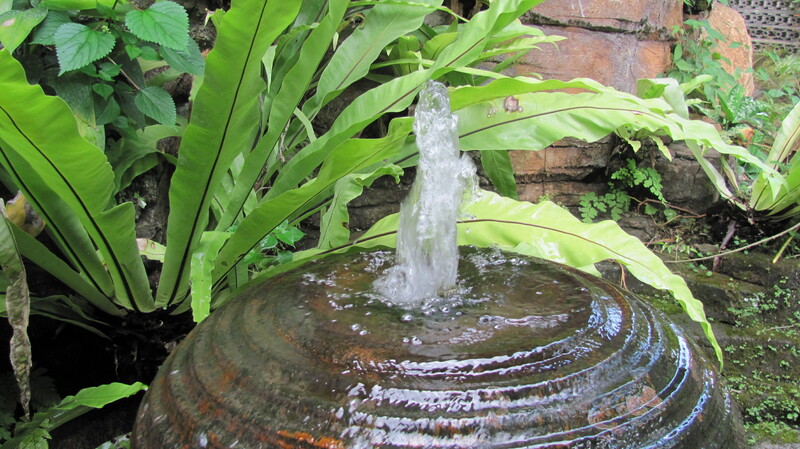 Perhaps a little too natural at times (having an outdoor bathroom proved to be a little more than I could handle at times… more on that later), but in general I found the property peaceful and calming. It smelled really good too. 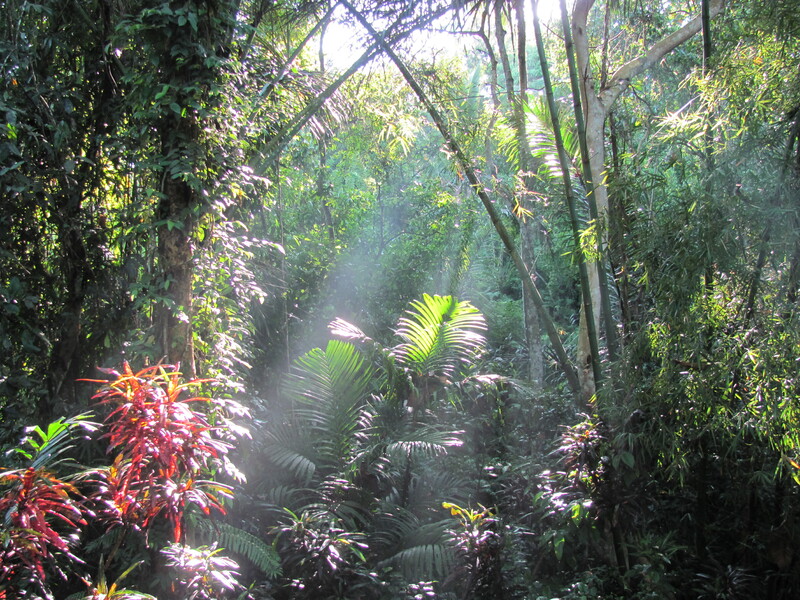 I kept thinking, “What did I do to deserve this?” Other than Jamaica, Grand Cayman Islands, the Bahamas, Hawaii, Mexico, Thailand and Singapore, I haven’t been to a lot of tropical destinations. 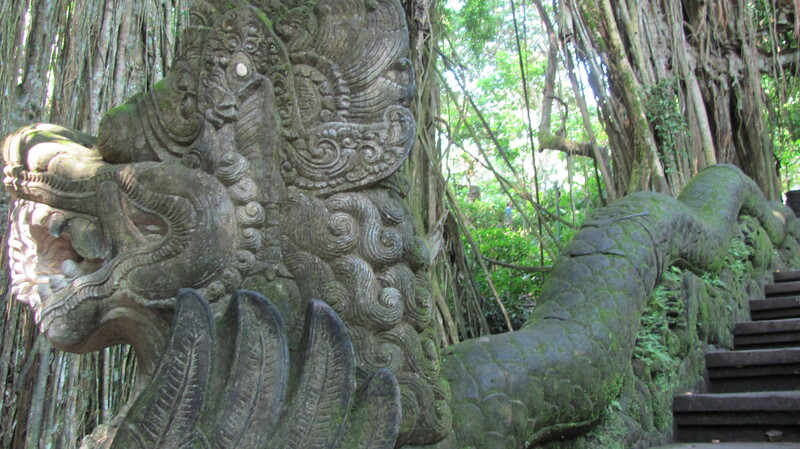 However, of those, Bali felt more tropical and island-like, than any place I’ve been before. It also felt the most remote. 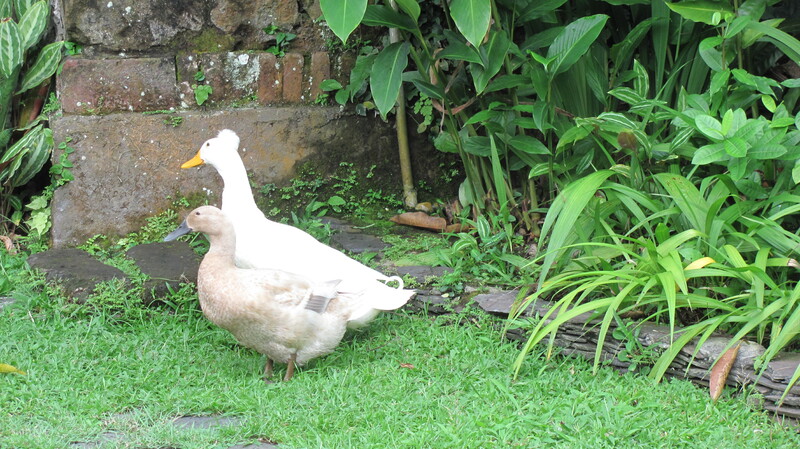 My only desire while in Ubud, was more time. But, I was deeply grateful for the time I did have. I stayed in a villa that hung off the side of a mountain. 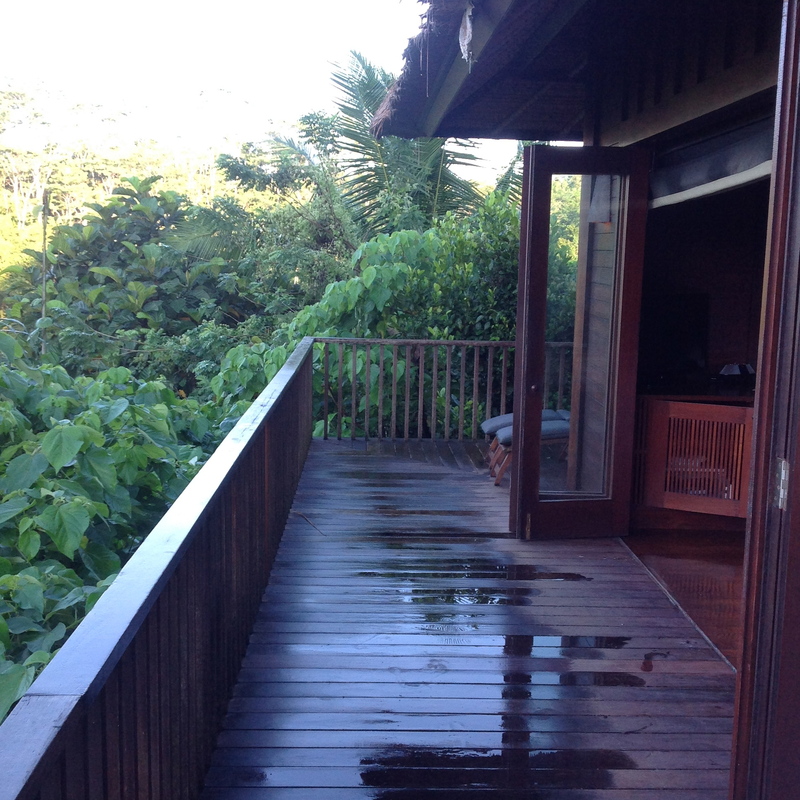 The villa consisted of two small grass huts, separated by an open air breeze-way, complete with a beautiful soaking tub surrounded by a koi pond. 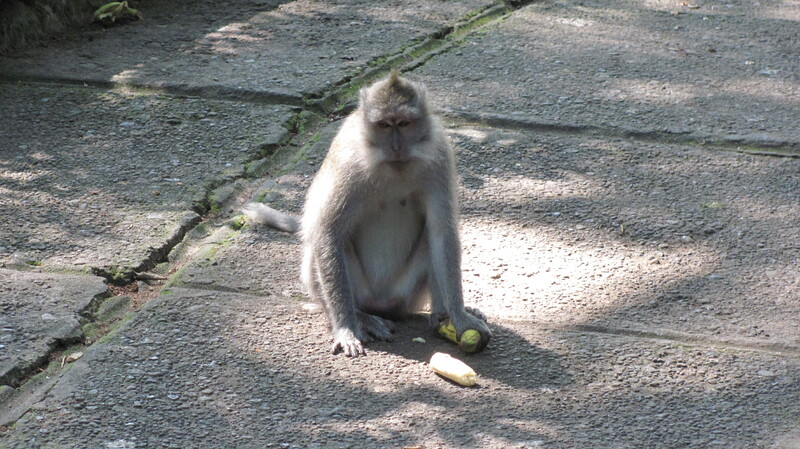 Because of the monkeys (which were everywhere), there was an enclosed air-conditioned vanity and dressing area to keep personally belongings safe, but the toilet, shower and bath tub were outdoors. Clearly, I didn’t need to worry about smelling up the bathroom, if you know what I mean. I was all easy-breezy-outdoors! I won’t lie, although I loved the shower, I didn’t much care for that outdoor toilet. 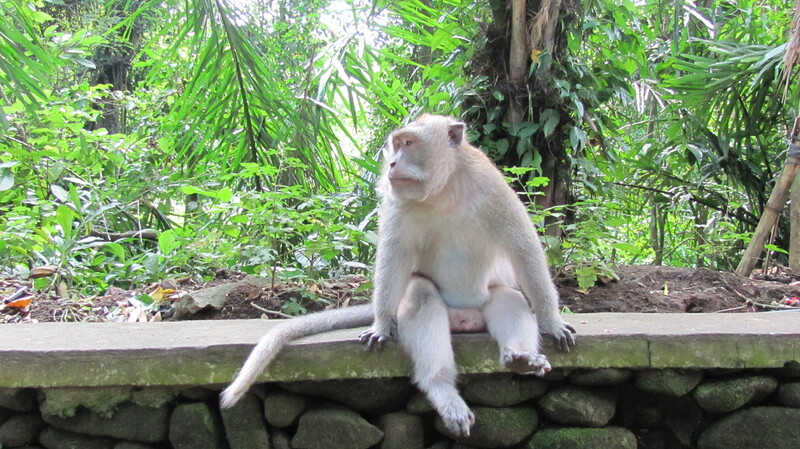 Sitting on the toilet and consistently turning around to make sure a monkey wasn’t what made that weird sound in the bushes, made for many unpleasant toilet experiences. On the up side, I couldn’t have asked for a better setting for having the crap scared out of me. Sorry, if that was too graphic. Just saying. 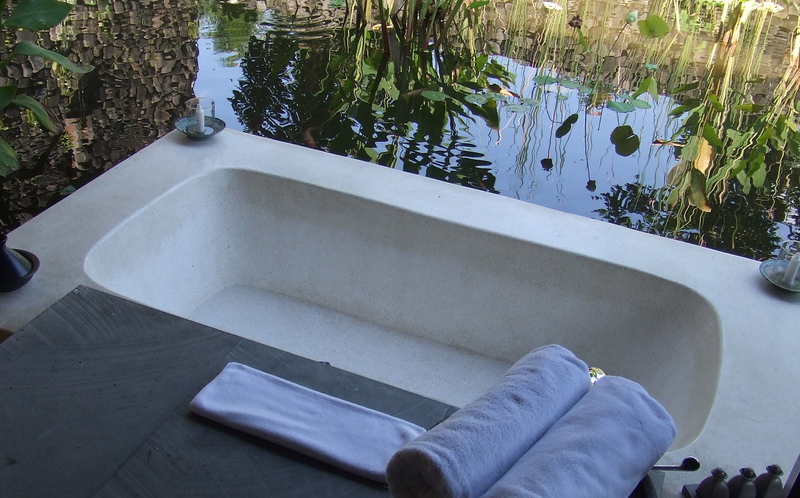 I love taking baths, and it was all I could do to not immediately draw a bath when I first saw my outdoor tub. 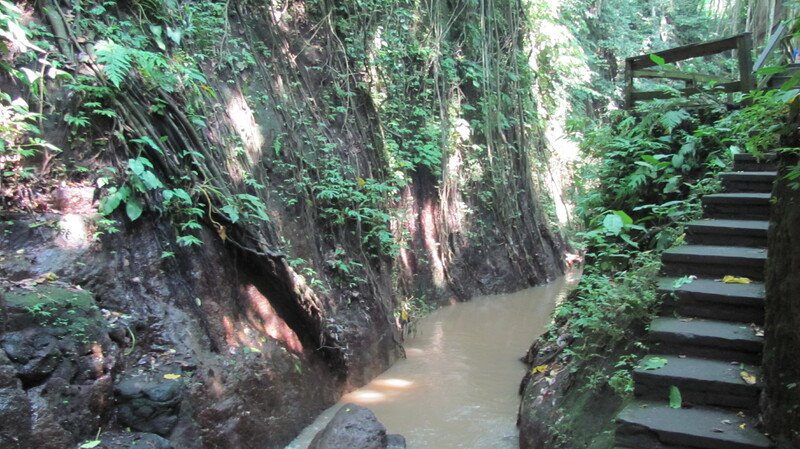 But, after arriving with a little more than 30 minutes or so of daylight, I wanted to check out the property first. 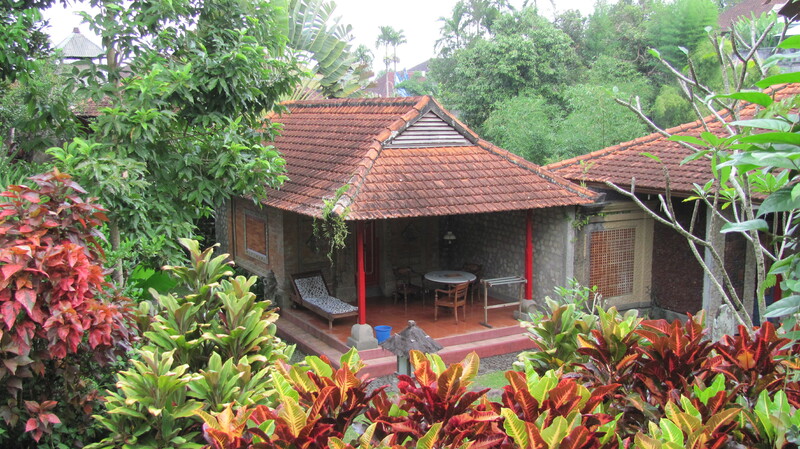 After an amazing star-studded evening filled with fruity tropical drinks and an incredible authentic Balinese meal, I finally made my way back to the tub, I mean villa. By this time, it was dark. And I mean middle-of-no-where-kind-of-dark. But, I had my tunes ready, candles lit and every bottle of bath oils and salts I could gather up. I was ready to relax. Alone. With Adele. But I needed to fill the tub with water, which let me say now, was quite a daunting task. As I was straddling the koi pond from the bridged path to the tub, I noticed the koi pond was filled with toads. Big fat loud toads. I now hate toads almost as much as squirrels. Toads, like squirrels, are completely unpredictable. I hate that! The first task at hand was putting the stopper in the tub. The tub was deep and required me getting completely inside the tub to accomplish. Second task, I had to make sure all the little bugs and tree leaves were out of the tub before turning on the water, as I could already imagine being surprised later by a leaf brushing against my body would not be good for the neighbors. The pond had submerged lighting, which I’m sure someone thought would help create a calming ambiance. Between all the toads darting from one side of the pond to the other, the slowing moving koi and all those lily pads floating around (not knowing what was under them), the shadows were just a little too FREAKING FRIGHTENING at times. But, remind you… I love baths. I understand this may not read scary, but as I waited for the tub to fill, I was a mess. You have no idea how loud those toads were. I thought about getting a glass of wine, but I didn’t trust myself with glass. After getting the tub filled with water and having every flat surface surrounding me covered with candles, I tried to relax. However, with all the spooky shadows and the sound of one billion toads burping and belching, and hearing in the distance what sounded exactly like every monkey within a 10 mile radius swinging their way toward me… I felt very venerable and being naked surrounded by fire wasn’t helping. Despite all efforts made my Adele, I couldn’t help but imagine how the toads were probably secretly coordinating their perfectly synchronized attack into my cleaner, better smelling bath water, and how an army of monkeys were most likely mapping out their air approach to my head. These things, themselves, didn’t scare me. What scared me was not knowing exactly when the little girl inside me would scream, and at what volume. Again, not great for my neighbors. Even if they were a mile away. Have you ever had to call the front desk at 2am, to let them know an alligator was blocking the toilet? I have. The rescue man claimed it was only a lizard. But it was all the same to me. However, if it had been an alligator, this man, the rescue man, not me… would have been prepared. He arrived with equipment around his neck and stuff in both hands. He was seriously prepared for anything, quite possible even a squirrel. I was very impressed. 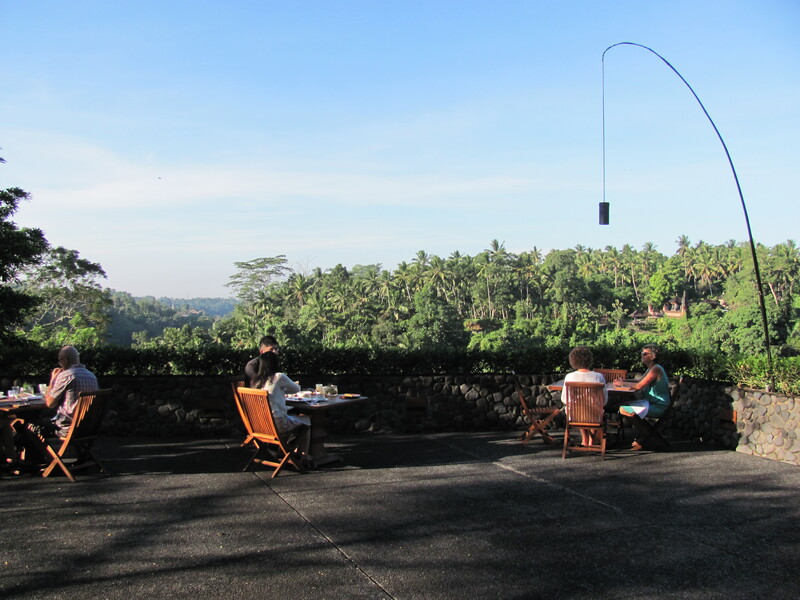 Each morning we had breakfast in an old rice plantation building, with a jungle on one side and an open valley on the other. 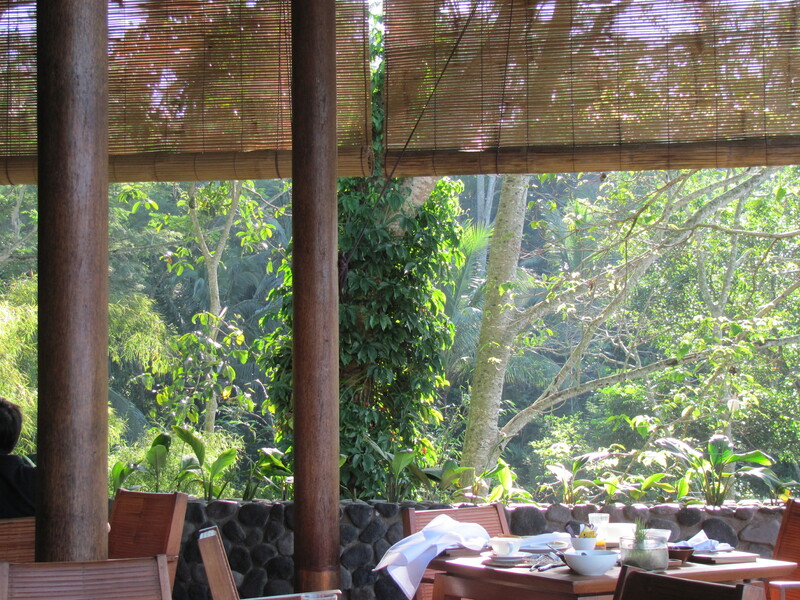 It was hard not getting distracted while eating, as the views each morning were hypnotic. 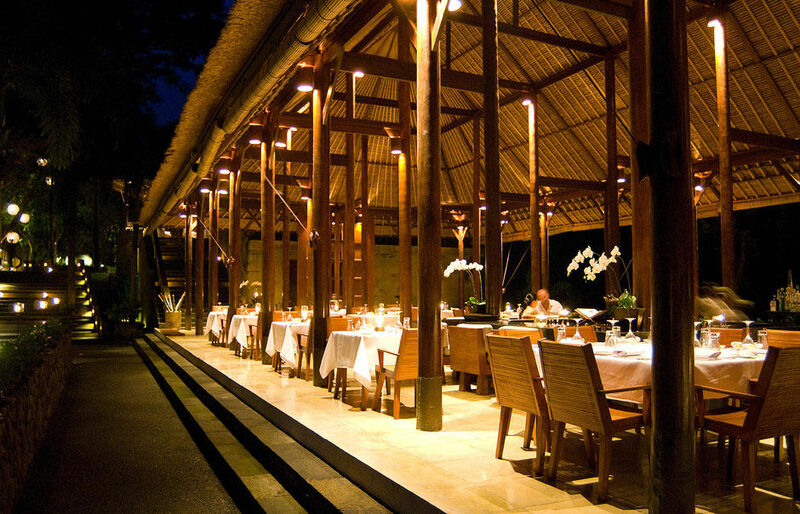 The service and food, and pretty much everything at Alila, were top-notch. 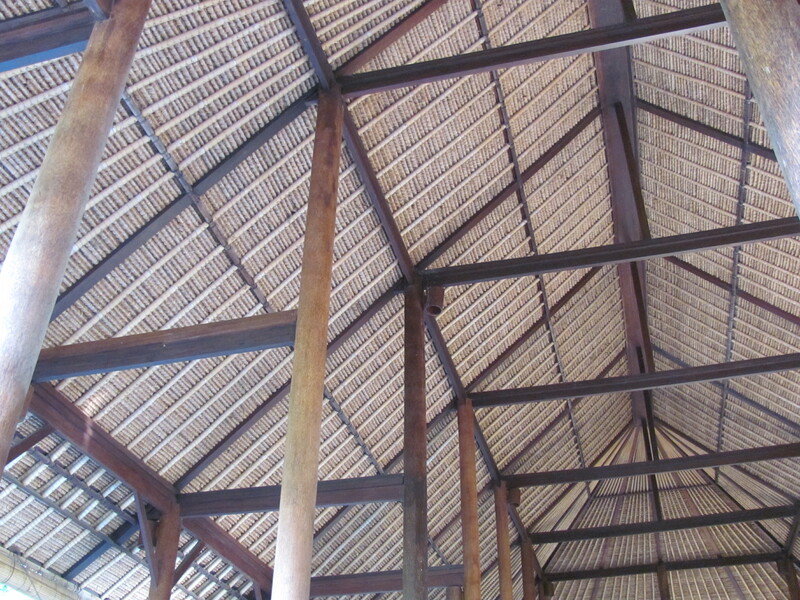 They had that spiritual sense of peace and serenity as do Thai people, but a little more fun and relaxed. 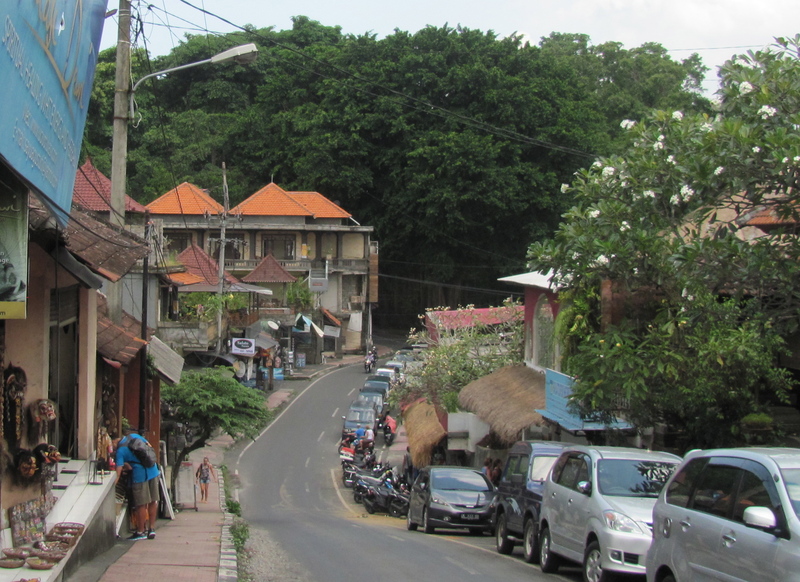 Ubud was a short scenic drive from the resort. 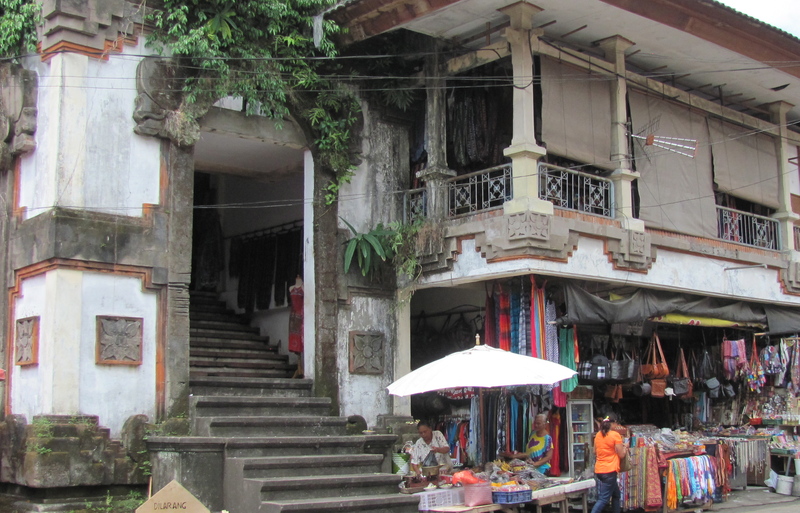 I was expecting a quaint little mountain village, but I found myself in the middle of a very busy town. 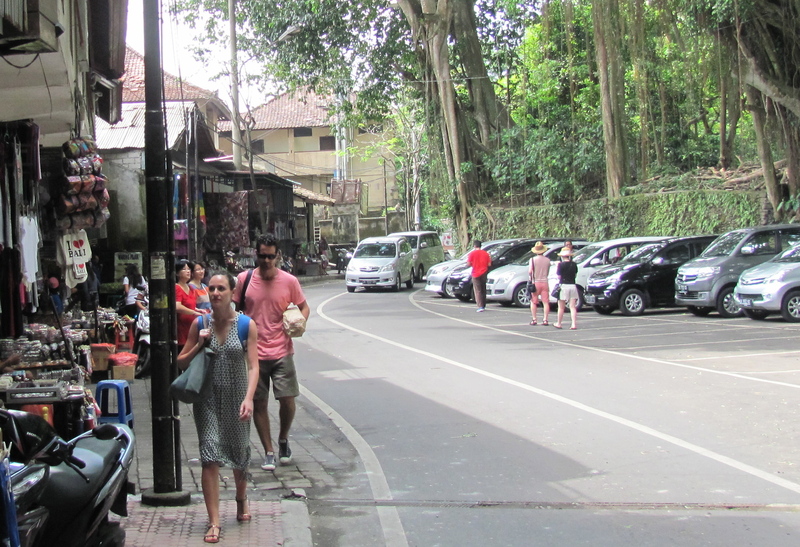 More streets than I could ever explore in one trip, and each packed with art galleries, home decor shops, jewelry stores, and an endless supply Balinese restaurants and spas. 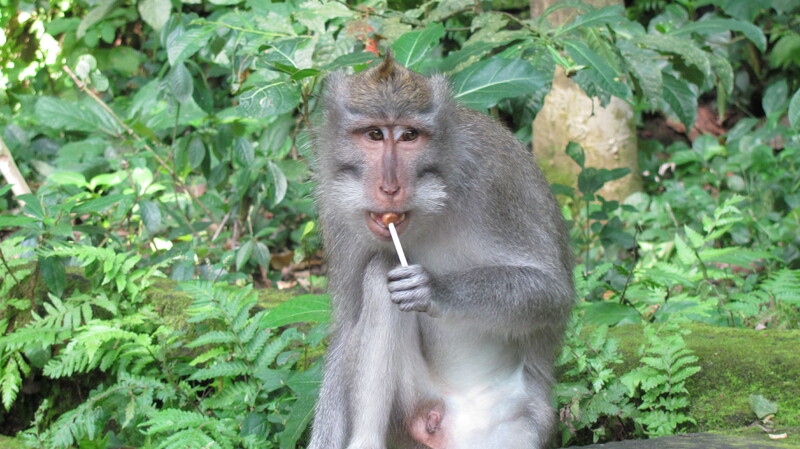 Right in the heart of town was a monkey forest, which led to a trail along the banks of the Campuhan River. The river was a nice surprise and definitely worth the time it took to go down and check out. The weather this time of year wasn’t too hot, but the shade along the river felt really good. 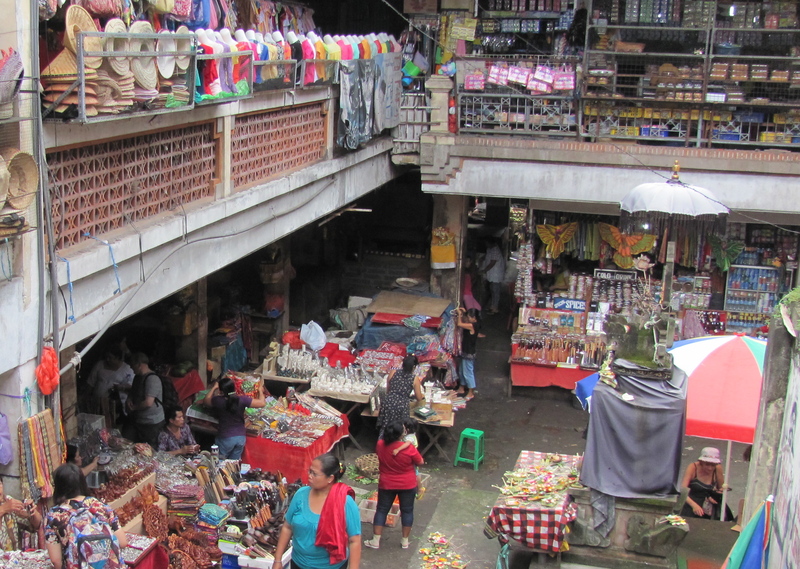 Ubud is regarded as Bali’s arts and cultural center. 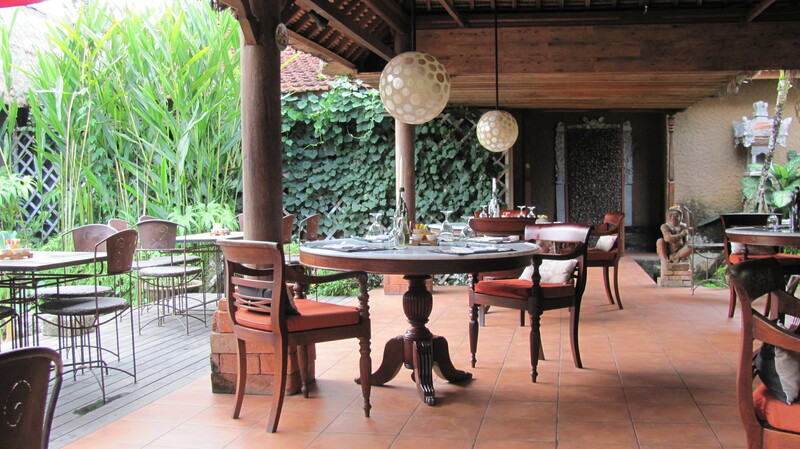 Ubud takes pride in preserving their rich culture. Producing items that showcase their history and skilled craftsmanship, is how I feel they do this best. 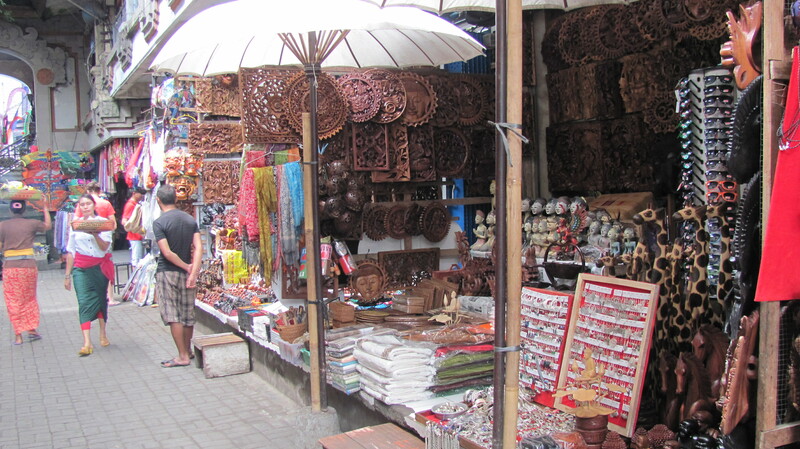 You’ll see the same art and jewelry throughout Bali, but Ubud is where is takes life. Seeing how things are made, being in the space of a creator as something takes form is what I really enjoy. My friends know I don’t really care for museums. For me, I need to see the process of something’s creation to truly appreciate its finished state. 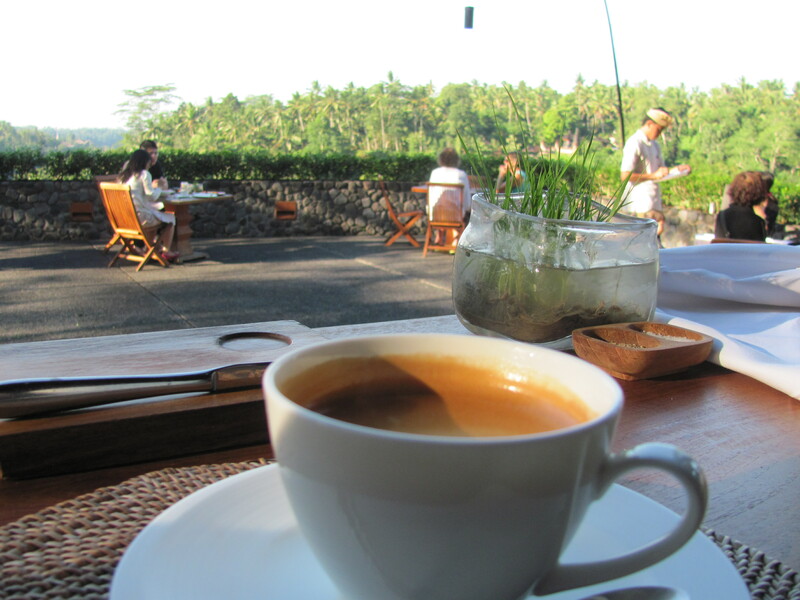 Ubud was on the top of my Bali List for this very reason. You get to see the paintings take life and jewelry take form. And as a result, prices are nearly a third the price found elsewhere on the island. The galleries aren’t as polished as you’ll find in Seminyak, but I’d much rather hand my money to the creator, than a sales person. 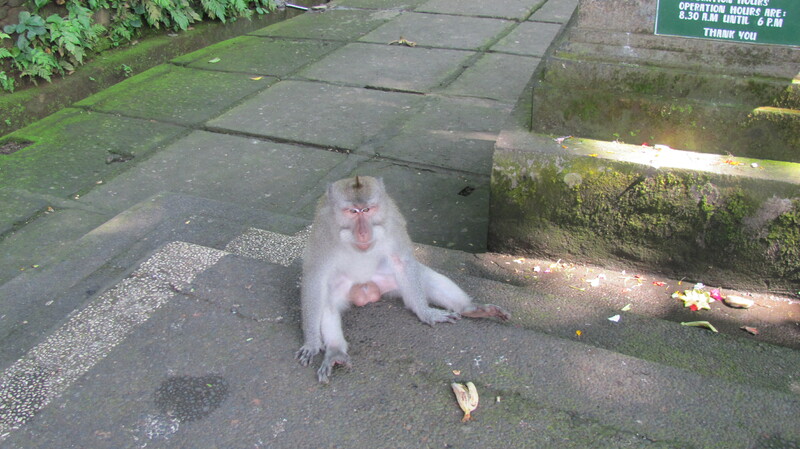 Ubud was very laid back and relaxed, even though it was much busier than I had anticipated. The streets were calm and enjoyable, as drivers were very patient and considerate. Due to the large amounts of American and European visitors, I found communicating extremely easy. 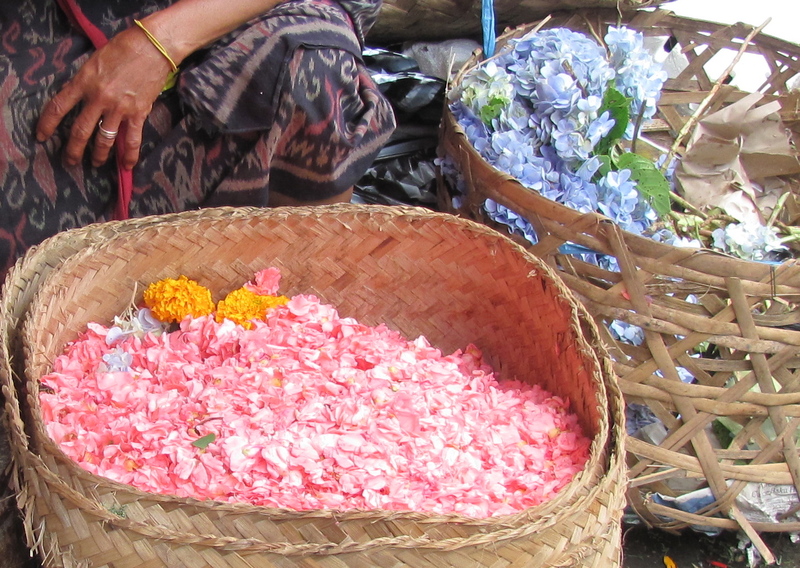 The only thing I felt nervous about was stepping on their tiny daily offerings, that were everywhere. 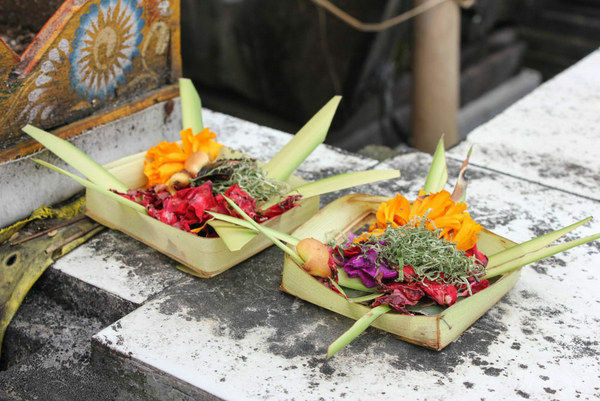 These little daily offerings, called canang, are small baskets filled with flower heads and sometimes one burning incense. Don’t worry if you accidentally kick one off the sidewalk into the street (as I may have done a few times). Turns out, they are placed to be stepped on, as long as it’s not intentional. 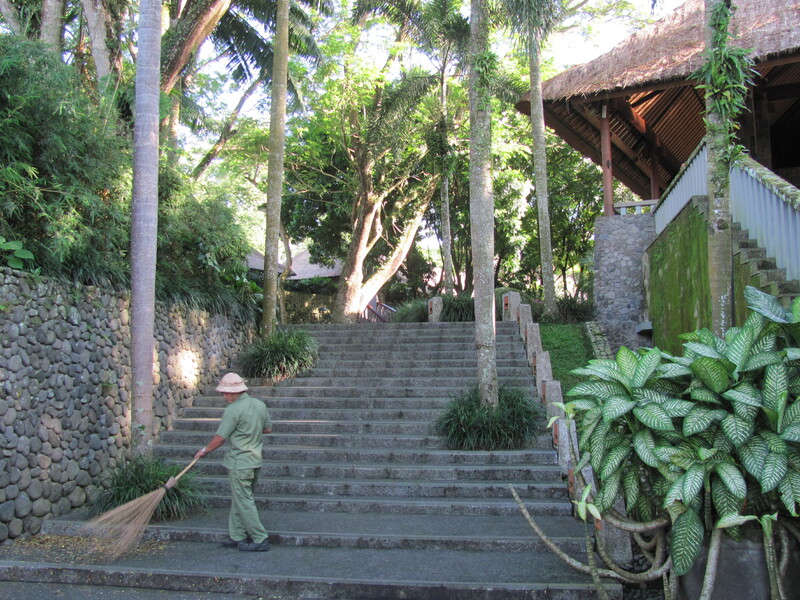 The offering baskets are swept up at the end of each day for trash, never recycled. 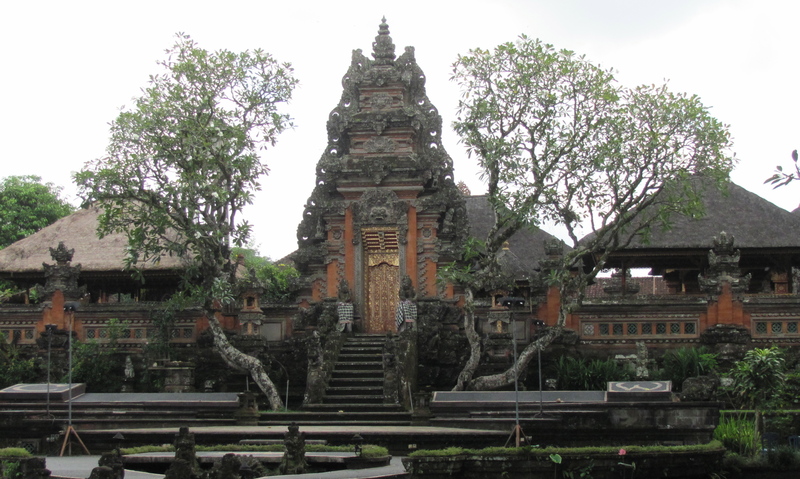 Ubud exceeded all of my expectations. 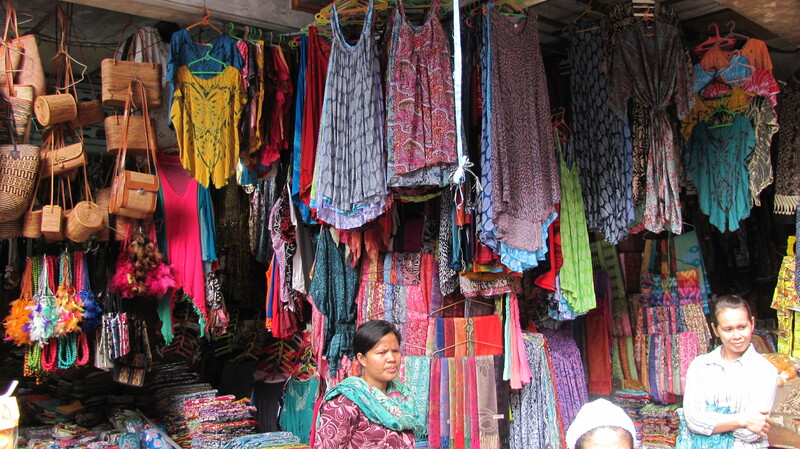 Continuing on with my trip, I headed south to Seminyak, before heading home. 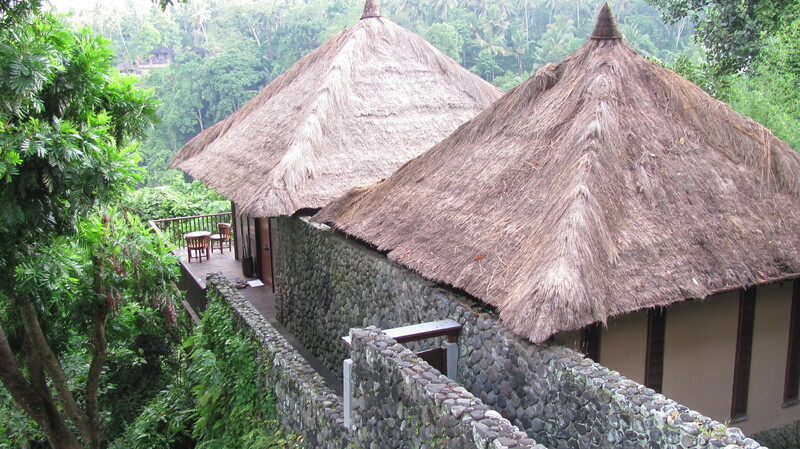 Even though I loved the beaches in Seminyak, I think on my next trip to Bali, I’d like to focus more inland. 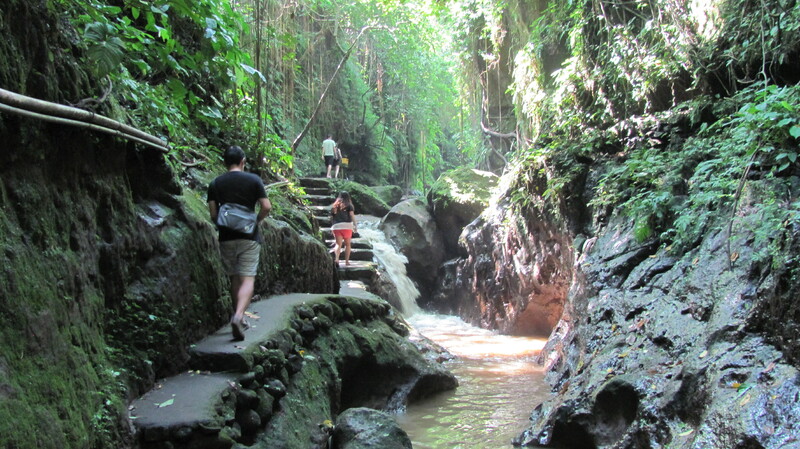 Bali is a little further away than most weekend get-a-ways, but for me, Bali isn’t a weekend destination. 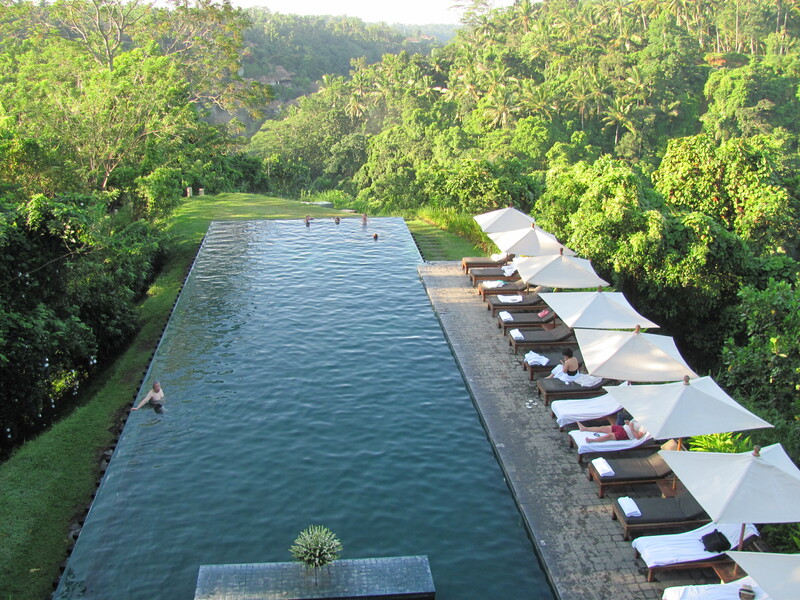 It deserves a full week to truly experience all that Bali has to enjoy. 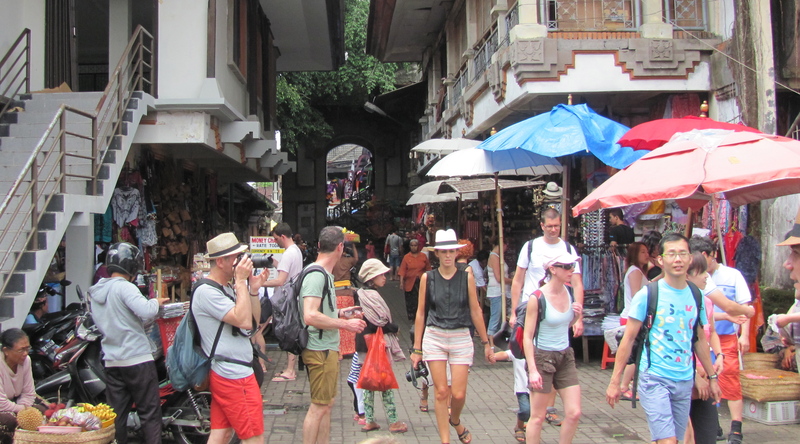 Thanks GLOBAL ROAMER for publishing my post on your site! Glad you liked it. Thank you! Thanks for checking out my blog! 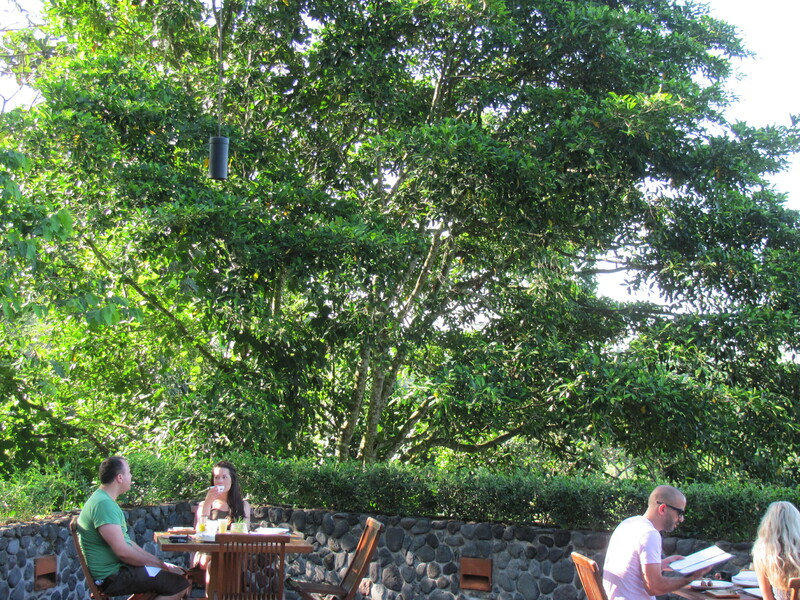 Sounds like you’re a fan of Ubud too. 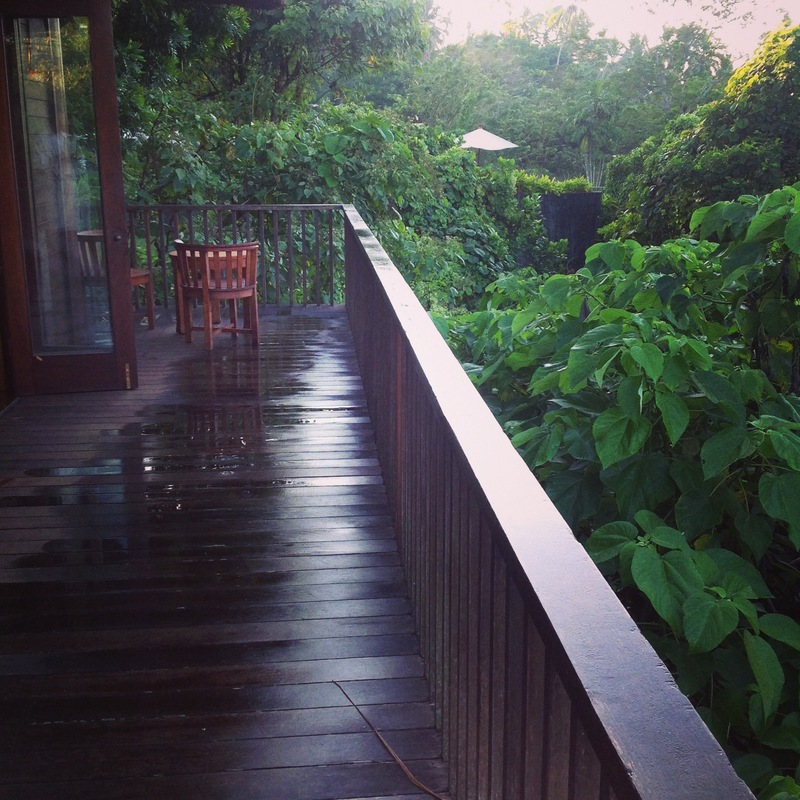 I loved my time at Alila (with its traditional architecture), while taking in the amazing surrounding landscape. Good luck with your travels! everything. Do you have any points for novice blog writers? Merci je suis content qu’il t’a plu.